The thing that impressed me about the racing version of the Lotus Evora is how little they had to do to get it up to scratch for the track. Basically they changed the brakes and tyres, gutted the interior, put in a roll cage and fire extinguisher system, upped the horsepower to 300kw, changed the shocks and sway bars and changed the 6 speed to a sequential 6 speed. Not that much really when you consider what you have to do to most cars to get them to racing spec. An amazing car that I think will do very well as an endurance racer. Can't wait to see it in action. 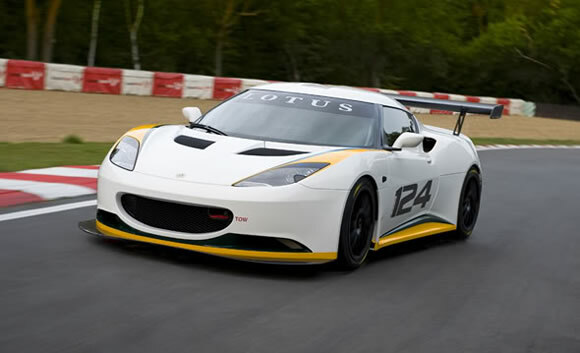 Check out the cool website for the Evora here and the racing version here.